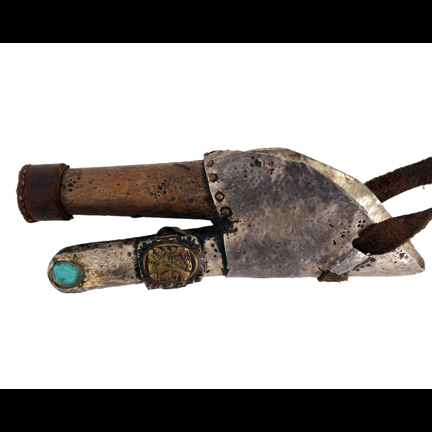 This prop prosthetic finger pistol was worn onscreen by the character “Three-Fingered Jack” played by actor L.Q. 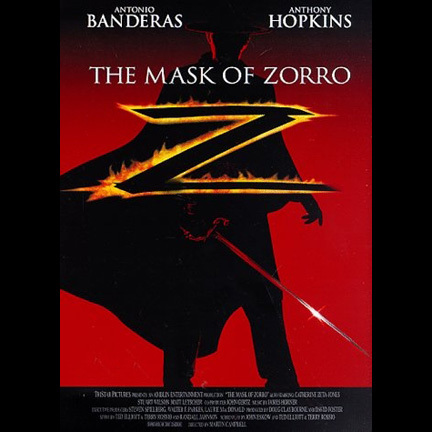 Jones in the 1998 motion picture “The Mask of Zorro” starring Anthony Hopkins and Catherine Zeta-Jones. 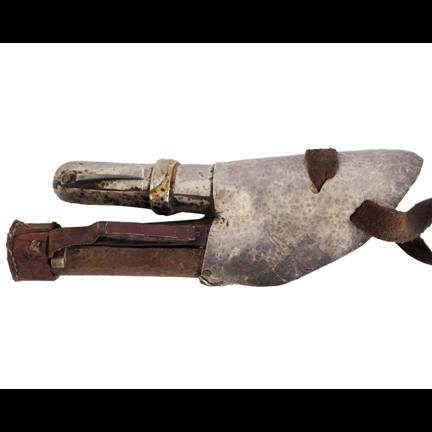 The prop was custom made for the production and is constructed of a two-fingered metal attachment with hollow interior that allowed the actor’s hand to fit inside with leather strapping for attaching to the wearer’s wrist. 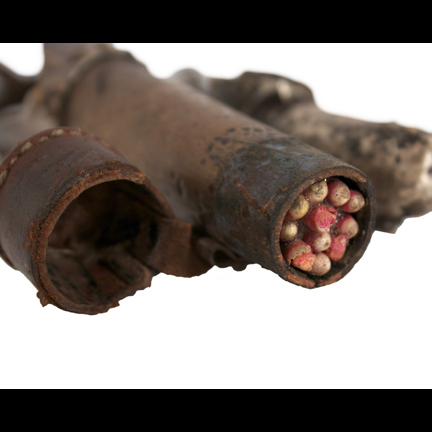 The steel and brass components were hand distressed with pitting and dirt to give it an aged appearance. 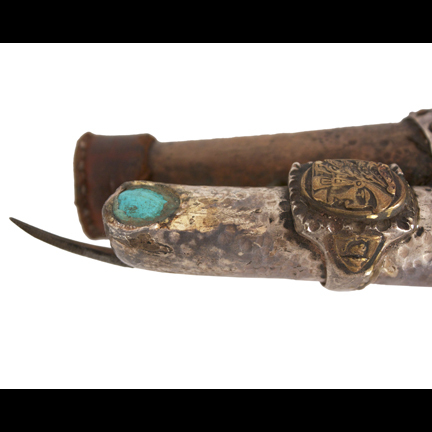 The brass “ring finger” gun barrel is capped with a leather ring and the interior of the barrel has a set of matches in the interior. The “pinky finger” is decorated with a signet ring and large blue “fingernail” as seen in the film. 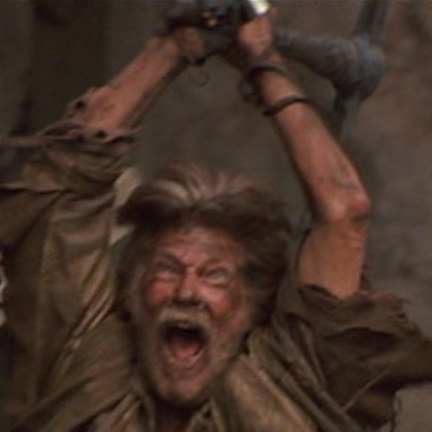 This was “Three-Fingered Jack’s” signature prosthetic worn throughout the film, and first appeared onscreen during the scene where Jack appears to have captured the infamous “Murietta Brothers” (played by Antonio Banderas and Victor Rivers) and drags them behind his horse into a village to collect the bounty. 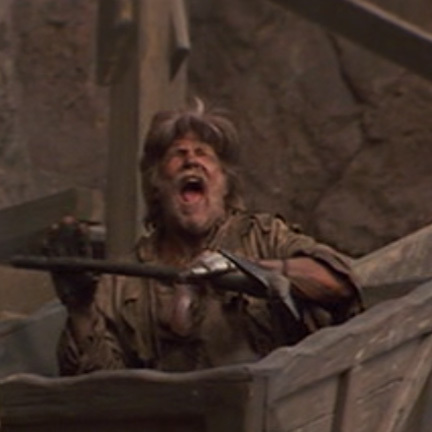 He again appears later in the film during the scene where the “Young Zorro” (Banderas) travels in disguise to the site of the El Dorado mine and discovers Jack has been enslaved into the army of laborers working on the mine. After attempting to attack the evil “Don Rafael Montero” (Stuart Wilson) with a pickax, Jack is brutally gunned down by Montero’s henchman “Capt. 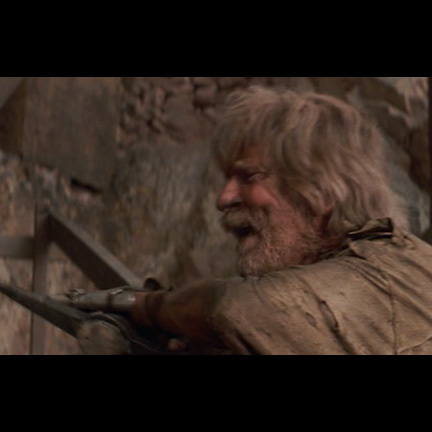 Harrison Love” (Matt Letscher) as Zorro watches helplessly. 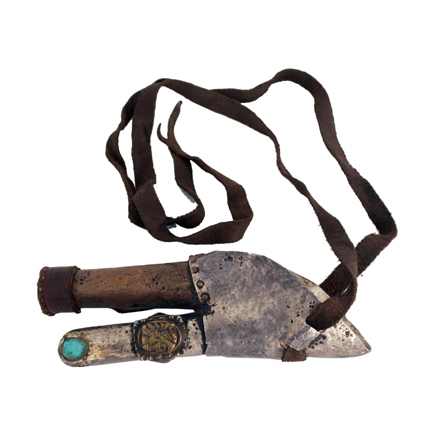 The custom made prop prosthetic is in good screen used condition as seen in the film and is accompanied by a letter of authenticity.